What would you create if you had a machine that could make almost anything? From simple replacement parts, toys and artistic creations to customized prosthetics, medical aids and even live tissue. 3D Printing is taking the world by storm! One of the greatest thing about this technology is that the field moves faster than the speed of light and technological advancements take place in huge leaps and bounds. 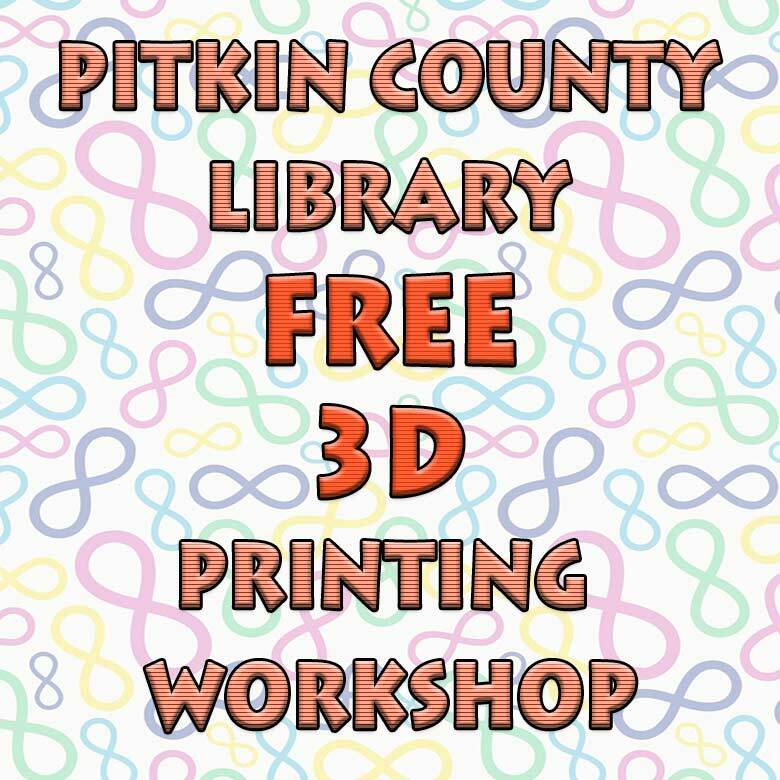 Join us for a free 3D Printing workshop, hosted by Pitkin County Library, where we are going to show you the Desktop aspect of 3D Printing (3DP). In this workshop we are going to take a direct dive into the desktop FDM 3D Printing workflow. With the help of this 2 hours course, attendants will advance in the technical aspect of 3D printing software and hardware. The workshop also covers troubleshooting problems and common mistakes with insights to avoid them, and with different tools and solutions to resolve them. If you are interested in operating your own 3D Printer like a pro or having a great control over your ordered 3D Printed parts this workshop is for you. For those of you looking to buy their first or next 3D Printer, we are going to cover all the hardware components, all the options the market provides you with, so you can make a more informed decision at the end. You will gain familiarity with the different desktop 3DP technologies and the best applications they are suited for as well as materials used. A brief look at what others are making with those robots and how you can start using them when you need them. We will talk about the past, the present and the future developments of the additive manufacturing technology, so it can help you get the whole picture right. In this 2-3 hour workshop you will learn the 3D Printing workflow – all the steps necessary in order to 3D print an object. Together we will go through the challenges and the solutions, and why it’s all worth it at the end. We call it “From idea to completion”, where a live demonstration of the whole process will take place. SHARING IS CARING! SPREAD THE WORD.